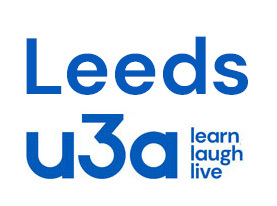 The main activity of our U3A, apart from the General Meetings (see the Programme page for those), occurs in small study or social groups meeting weekly, fortnightly or monthly, but not usually during school holidays. All group leaders are volunteers. As each group is expected to be self supporting, there may be a small attendance fee to cover expenses such as room hire, cost of materials or refreshments. The groups are listed below, with times and places of meeting. Several of them have their own web page, which you can access by clicking on the group's name. There is a key at the bottom of the list to explain the abbreviations for meeting places. Groups for which no meeting place is listed either meet in a member's home or involve visits to different places. Members are asked to check with the group contact before attending a group for the first time. (Their telephone numbers are on the printed programme, or you can phone the enquiry line on 07552 448834.) Some groups are currently full, but most have room for new members. Any member interested in the possibility of starting a new group should look at the checklist How to set up a group. Other than private homes, the venues we currently use comply with the Disability Discrimination Act, 1995, and have access plus other facilities for the disabled. However, you should check with the either the group leader or the venue to ensure that the facilities you require are available before attending for the first time.